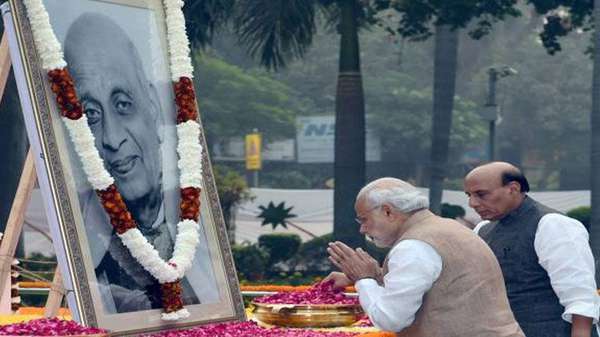 Prime Minister Narendra Modi on Tuesday paid tribute to Sardar Vallabhbhai Patel on his 142nd birth anniversary saying his momentous service to country can never be forgotten.”We salute Sardar Patel on his birthday. His momentous service and monumental contribution to India can never be forgotten,” Narendra Modi said in a tweet. Sardar Vallabhbhai Patel, the first Deputy Prime Minister of India, was born on October 31, 1875, in Nadiad, a small village in Gujarat. Popularly known as the ‘Iron Man’ of India, he was conferred with the highest civilian honour, Bharat Ratna, in 1991 for his services to the nation.